I am thrilled to be a stop on the book tour for Traveler by Arwen Elys Dayton hosted by Penguin Random House! I have a review and excerpt for your reading pleasure, but be sure to check out the tour schedule below, or click the banner above, for more! Nott passed through the jagged shadows of the remaining fortress walls. He was closer to the animal corpses here, and flies buzzed everywhere, even in the cold of the night. A deer lay on top of the pile, its body intact except for a series of slashes along its stomach. Its glassy eyes stared up at the dark sky. They hadn't killed that deer to eat it; they'd killed it because it was important to kill things. You had to stay sharp. And you had to keep things in their place. Those were the rules their master had taught them. The Young Dread lifted her gaze to his face, and he felt his usual discomfort under her steady stare. After a time she turned back to the embers of their torch far below. "I am wondering, John - is it always wise to learn something, simply because it can be learned?" The cloak had brushed the ground when she'd first worn it, too long for her. Now it hovered just above the ground when she stood - she'd grown in this month awake. She suspected she was growing more slowly, aging more slowly, than a typical fifteen-year-old, but she was growing and aging nonetheless. The cloak was full of all manner of things. As she had done once or twice in secret over the past weeks, she pulled every object from the cloak's many pockets and set them before her. She'd stared at the Old's cloak when she was a little girl, and she'd wondered at the mysteries it contained. Now the mysteries were in her own possession, yet they were as mysterious as ever. I remember being rather conflicted about Seeker when I first read it last year. It's a huge info dump and there were many times I was exceptionally confused about what was going on, when it was all going on, and where. Despite this, I did enjoy the story and was intrigued about where Arwen was taking these characters. 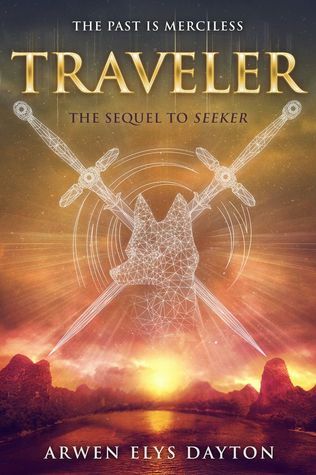 Picking up not long after Seeker ends, Traveler is less of an info dump and contains more story telling than it's predecessor. There's backstory and the perfect amount of information that allows for understanding of characters' motives and of the story itself. 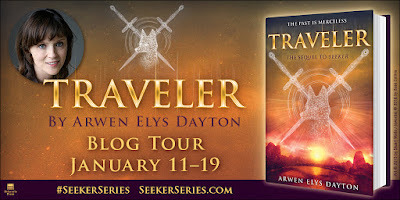 Traveler is narrated by a variety of characters and luckily they all have their own voice, personality, and personal motives. Quin and Shinobu are determined to figure out where the Seeker world went wrong. When did they go from saving people to killing for money? With a copy of Catherine's journal, they delve deeper into their world and its secrets for the truth. At the same time, John is training with Maud (aka Young Dread) to become stronger and faster so he may learn the truth and avenge the death of his mother, Catherine. Catherine's story line came off as the most informative as it sheds light on present day events. Secrets are revealed and I wish I had known her story earlier as everything else would have made a lot more sense. I understand the slow reveal and not telling us everything at once, but this is a case where I feel the backstory would have helped immensely with the comprehension of everything else. Arwen has created an interesting world filled with secrets, evolving characters, and twists and turns. There is a lot going on, but Arwen is able to hold her own and keep the story flowing. There are many times a chapter ends on a cliff hanger and I am so frustrated (in a good way!) that putting down Traveler is difficult because it's such a twist that need to know if what's happening is really happening! Even better, Arwen has left her characters in rather interesting positions and I'm looking forward to finding out how she will round everything out and end this series. 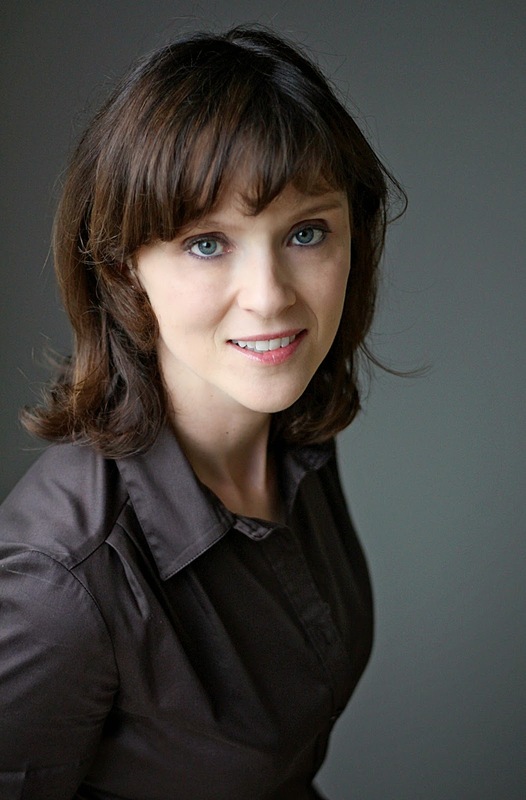 You can follow her on Instagram and Twitter @arwenelysdayton, and check out her video series about writing, 1 QUESTION, 2 MINUTES, at arwendayton.com and on YouTube bit.ly/1mLcdIn.